How rich is Tom Cruise? With a successful career spanning 35 years, Tom Cruise’s net worth is $480.0 million! He is the third richest actor in the world and hasn’t shown any signs of slowing down! 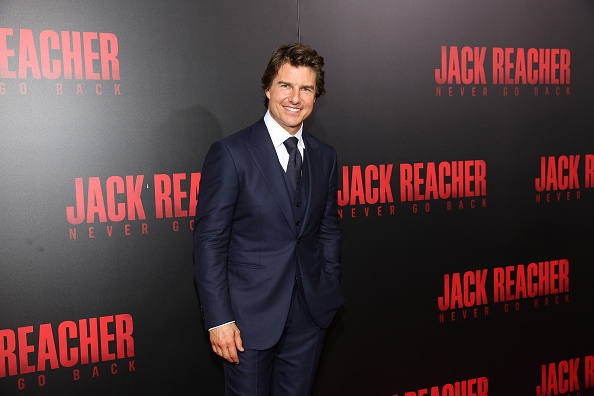 According to Deadline, The Jack Reacher star is said to be starring in the biblical-inspired action thriller, “Methuselah.” The movie follows a protagonist who ages slowly while picking up survival skills along the way. We can expect those skills to be problematic for anyone Cruise’s character crosses path with. Joachim Ronning is set to direct the upcoming Tom Cruise action film. Thomas Cruise Mapother IV, better known professionally as Tom Cruise, was born on July 3, 1962, in Syracuse, New York to parents Mary Lee (nee) Pfeiffer (a school teacher) and Thomas Cruise Mapother III (an electrical engineer). Tom has three sisters: Lee Anne, Marian, and Cass. The family was raised Catholic and grew up nearly poor. In 1971, the Cruise family moved to Beacon Hill, Ottawa, in Canada for part of Tom’s early childhood, as his father took a position as a defense consultant for The Canadian Armed Forces. Tom’s father was also abusive, which forced his mother to file for divorce. She took the kids and left when Tom was in the sixth grade. His father later died of cancer. After developing an interest in acting in high school, Cruise came to fame when he starred in the 1980s films Risky Business, Cocktail, and Top Gun. But before he starred in his earlier 1980s hits, Cruise left school and moved to New York City to pursue a career in acting, for which he gave himself a 10-year deadline. He struggled through many auditions before landing a role in 1981’s Endless Love, starring Brooke Shields. Around that time, Cruise landed a small role in the military school drama, Taps, co-starring Sean Penn. Unlike many actors who fell off the face of the planet after a rise to fame in the ‘80s, Cruise stayed clear of that trend and maintained a lucrative career throughout the ‘90s, starring in movies such as A Few Good Men, Jerry Maguire, and most notably Mission: Impossible. 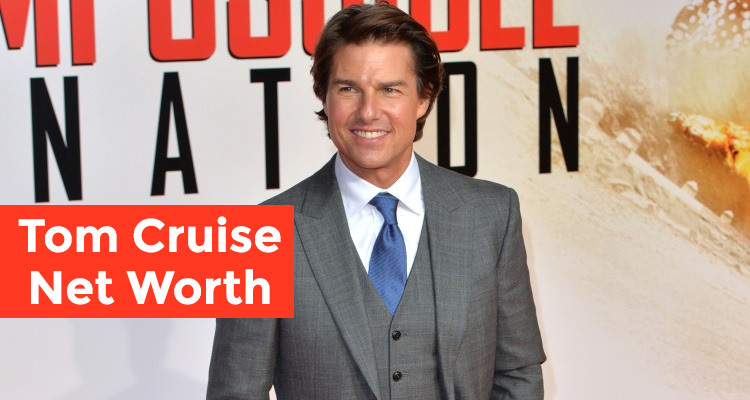 Cruise has been known to make some of the most lucrative deals in Hollywood and the Mission: Impossible series helped solidify the actor’s career throughout the new millennium. Cruise is known for his attraction to action movies and thrillers and has been known for taking on dangerous stunts that he enjoys performing himself, despite concerns made by his insurance company and lawyers. The Golden Globe-winning actor’s personal life is just as famous as his professional one. In 1987, Cruise married Mimi Rogers and they divorced in 1990, followed by his marriage to Nicole Kidman in 1990 to 2001, and then Katie Holmes from 2006 to 2012. Cruise has three children, two of whom are adopted. His most famous child is his daughter, Suri, who he had with Katie Holmes. Cruise was raised Catholic but he lives his life as a Scientologist, and has done so for many years now. Cruise has garnered much negative criticism for participating in the controversial faith and has even been defensive in interviews when the topic has come up in the past. It was also reported that Cruise purchased the UK home of Scientology’s founder L. Ron Hubbard. It’s also the Church of Scientology UK Headquarters. It’s no surprise that a mega-star like Tom Cruise owns several homes and none of them have been simple, or cheap! In May, Cruise sold his seven-bedroom Beverley Hills mansion for $40.0 million, which he bought with Holmes for $30.5 million, when they were married. Cruise is now looking to live in Florida, specifically the city of Clearwater, where the Scientology headquarters are located. Last September, Cruise sold another compound in the Hollywood Hills, this time to Eva Longoria for $11.4 million. And in 2013, the actor sold his 2,200- square-foot New York City apartment for $3.0 million. If he wasn’t making much money on his movies, he’d certainly be cashing in on real estate! The 54-year-old action star has just landed second place for his newest film, Jack Reacher: Never Go Back, a sequel to the 2012 film, Jack Reacher. Recently, the Rogue Nation actor wrapped his next movie, The Mummy, a reboot of Boris Karloff’s 1932 horror movie, The Mummy. He is also wrapped American Made, the true story of pilot Barry Seal, who transferred contraband for the CIA and the Medellin cartel in the 1980s.